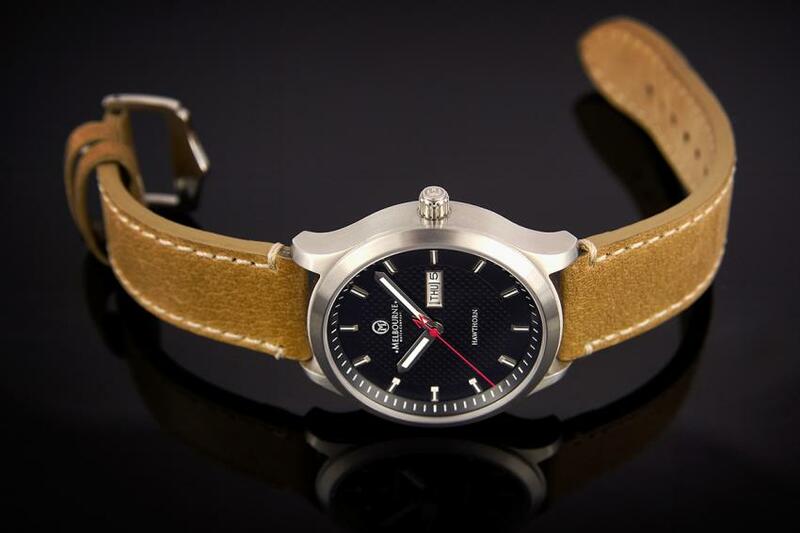 Melbourne Watch Company’s second model, the Hawthorn is designed taking in consideration the feedbacks they’ve got following their debut model, the Flinders. At the end of 2013, we wrote about the birth of a new Australian watch brand, the Melbourne Watch Company, who was making their debut with a crowdfunded project, the Flinders automatic watch. Their Indigogo campaign was really successful, doubling, almost tripling their initial goal. They met their project goals and as this story is written, they’re shipping the Flinders out to their backers around the world. 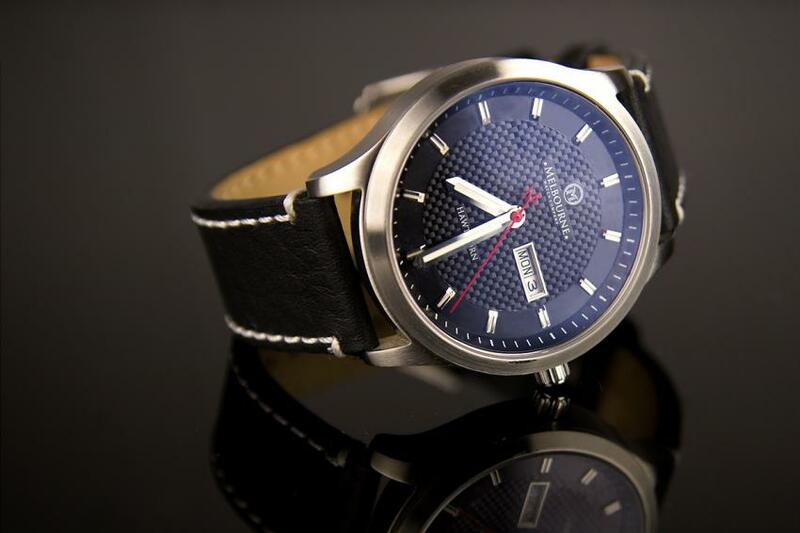 Following the success of the Flinders, the Melbourne Watch Company is launching a new funding campaign, this time on Kickstarter, to raise money for their second model, the limited edition Hawthorn. The watch gets it’s name from a suburb of Melbourne, located just east of the central business district, making it an unmistakable Melbournian. When designing the Hawthorn, the Melbourne Watch Company took heed of the feedback they got from their customers, making it a bit bigger and more multi-purpose than the Flinders. The Hawthorn with it’s 42 mm stainless steel brushed case, black carbon textured dial, C3 super-luminova on the markers and the hands, is both dressy and casual in the same time. Personally, I like the choice of colours on the Hawthorn, combining the black dial with a red seconds hand, makes it more sporty but it’s pure design keeps it dressy. Inside you’ll have the Miyota Cal. 8205 with day date function and 42 hours power reserve. 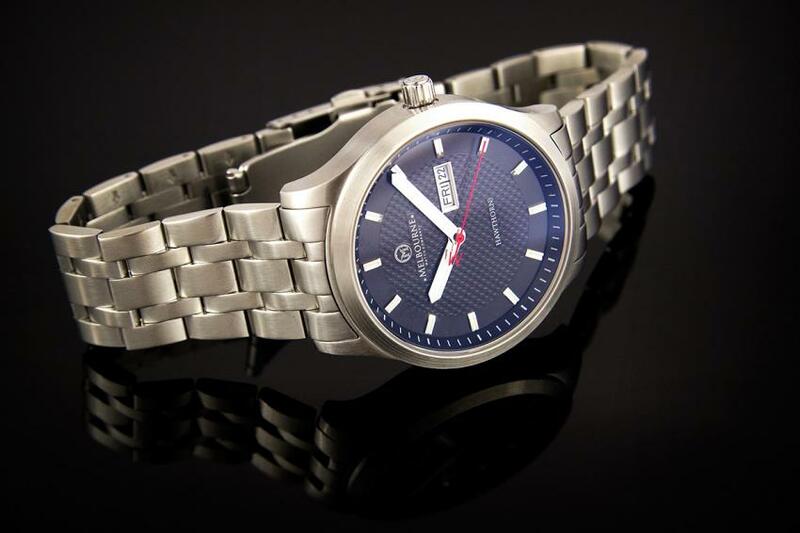 Melbourne Watch Company Hawthorn with stainless steel bracelet. When it comes to straps, you have three choices, leather (tan or black) with buckle or a stainless steel bracelet featuring a flip-lock deployment clasp. The project, hardly launched on Kickstarter, is almost fully funded and if yo want to get you’re hand on a Hawthorn at preproduction price, $295 to $325 AUD (approximately $265 to $290 USD) you better head over to the campaign page before April 21, 2014.